In the retail shopping realm, there are few things worse than running up against an employee who is not only mistaken about his or her store’s policies, but insists that you are the one who does not understand the finer points of that retailer’s rules. 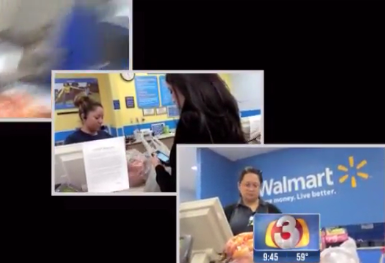 KTVK-TV in Phoenix recently put a handful of area Walmarts to the test (you can watch the video below) to see what would happen when an undercover producer tried returning a mix of seasonal and regular items with a gift receipt. Four different stores, three different results. None of them quite right. Store 1 would not give the customer any refund, insisting that because the original purchaser had paid with a credit card that the refund had to be credited back to that person’s card. Stores 2 and 3 provided a refund of the $10.77 purchase to the gift receipt holder, but did not give her the option of receiving a cash refund. Store 4 flat-out refused to provide any refund whatsoever, saying the store’s general manager was not allowing refunds on seasonal items. The Walmart website says a lot about returns, with a number of pages dedicated to the process, but this by-department breakdown mentions no special policy for seasonal items. That policy, spelled out yet another page, says that refunds for returns under $25 can be provided in cash. Walmart’s corporate response wasn’t exactly impressive. How about simply providing employees and customers with clear guidelines at the customer service desk so that there is no room for misinterpretation or misunderstanding? Walmart HQ says customers who are having trouble returning products should request a manager. We recommend anyone returning a product to any store in the coming weeks and months go there with not just the receipt, but also with with that store’s return policies printed out or bookmarked on your phone.